We secured free tickets once again to be in the audience for a recording of Friday Night is Music Night last Friday. This time, it was a special programme presented by Ken Bruce, who had been given a free rein with the music of his choice - and once again it was a marvellous and varied evening's entertainment, including radio show themes, Celtic music and even a full orchestration of Riverdance, all played brilliantly by the BBC Concert Orchestra. Well worth paying the licence fee for! The programme has been going in its regular slot for for half a century - first of all on the Light Programme and then on BBC Radio 2, which makes it the world's longest-running "live music" programme on radio - and the music is singularly in the "lighter" end of the spectrum. Perfect, in fact, for what we at Dolores Delargo Towers refer to as "Sunday Music". Our vocalists on Friday included Emma Kershaw, who was one of the stars of the concert version of the musical Chess, and among her other credits are "Fantine" in Les Miserables (1993) and "The Baker's Wife" in Into the Woods (1997), and backing vocals for Celine Dion, Chaka Khan, Annie Lennox, The Bee Gees, Lionel Richie, Will Young and Robbie Williams. Gary Williams, described by one reviewer as "one of the most experienced Sinatra acolytes", was star of the West End’s Rat Pack (which we went to see way back in 2003) and is soloist with leading big bands and concert orchestras including the Royal Liverpool Philharmonic, the Melbourne Symphony, the BBC Big Band, Ireland’s RTE and the Lahti Sinfonia Finland. At the moment on replay on the Friday Night is Music Night page is their broadcast of the fantabulosa Pink Martini in Concert. 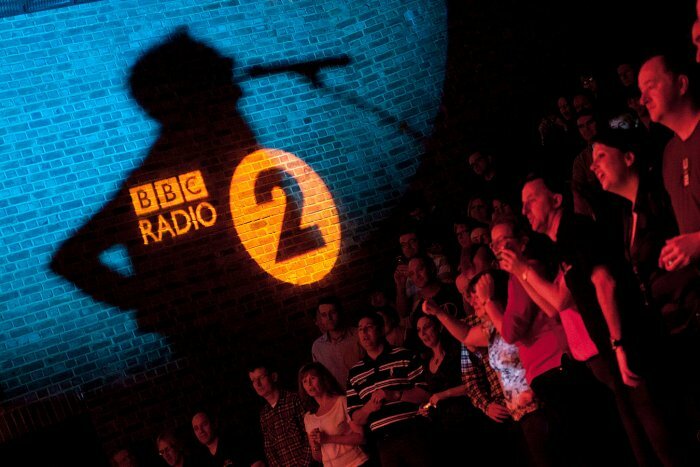 This week's broadcast is the celebration of Desert Island Discs that John-John and I went to the recording of back in May. Last Friday's show will apparently be broadcast on 25th November 2011 - and I shall be listening!